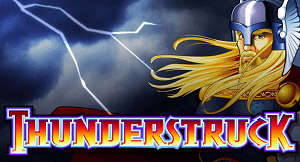 Thunderstruck is a very cool five reel, nine pay line pokies game based on the theme of the Norse god Thor. The legend of Thor is that he rode his chariot, pulled by Rams through the heavens during a night of thunderstorms. Lightning flashed when he threw his hammer and he could double his strength with his fist by pressing on a special belt that he wore. 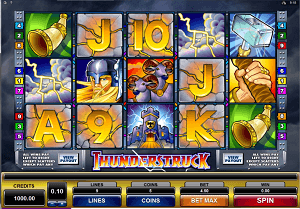 Thus when you play pokies with Thunderstruck you will see the lightning flash, hear the winds blowing and the drumming of warriors. Whenever you get a winning combination you get the crack of lightning and Thor’s eyes flash. The fantastic graphics, sights and sounds are what make Thunderstruck so much fun and so popular. The Thunderstruck coin values go from one cent to fifty cents, so with nine pay lines you can bet all nine without losing your shirt and ensure that you will at least win something. 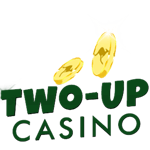 With Thunderstruck you don’t have to invest a whole bankroll to play pokies. Wild Symbol – The wild symbol in Thunderstruck is the got Thor. It can substitute for any other symbol to make a winning line except for the Ram which is the scatter symbol. The Thor symbol is also a multiplier symbol which means that any combination completed by Thor doubles your payout. Scatter Symbol – The Ram is the scatter symbol in this game. Any two Rams showing up anywhere on your five reels will give you a win. Free Spin Feature – If three or more Rams (the scatter symbol) show up on your five reels they trigger the Free Spin bonus feature. 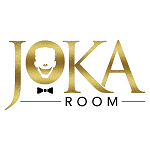 You are awarded 15 free spins! 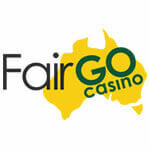 Should three or more Rams show up while you are “free” spinning you are awarded another 15 free spins. The Free Spin feature makes Thunderstruck one of the most exciting and lucrative online pokies games. 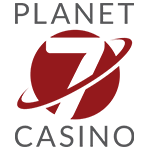 Bonus Gamble Game – Any win on an activated pay line will activate the Bonus Gamble screen. Here you are shown some high-value cards and you are asked to pick the correct colour and the correct suit. This isn’t easy. It carries a big risk. If you pick the correct colour you can double your winnings. If you pick the correct suit, you can quadruple your winnings. But, beware! If you guess wrong, you lose all your money. That’s why it is called a “gamble”. You don’t have to play the Bonus Gamble. You can opt out when the screen shows up. The Thunderstruck video pokies game is powered by Microgaming software which is why the graphics and sounds are so exotic and enticing. 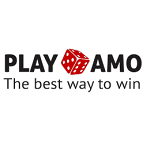 The chance to win which is enhanced by the Free Spins bonus is another of the reasons that this game is so much in demand. So don’t just play pokies, play Thunderstruck!